A U.S. military spokesman in Kabul says the airstrike that reportedly struck a house in Helmand province on Tuesday night was conducted by American aircraft. Maj. Bariki Mallya said in an email exchange that the airstrike was conducted in self-defense after Taliban fighters armed with rocket-propelled grenades and heavy machine guns retreated into a compound and continued firing on Afghan government forces and their American advisers. 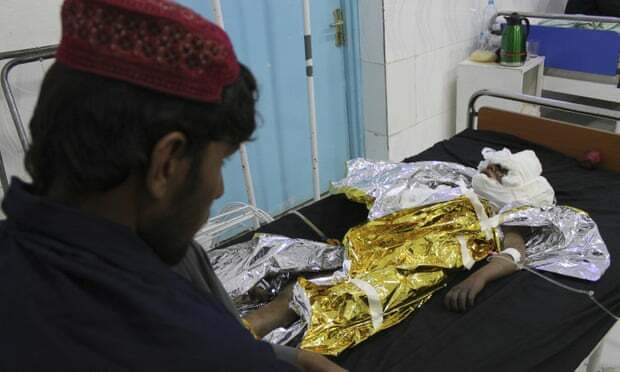 At least 30 Afghan civilians have been killed in US air strikes in the Afghan province of Helmand, officials and residents of the area said on Wednesday, the latest casualties from a surge in air operations aimed at driving the Taliban into talks. Afghanistan’s NATO-led force said Afghan government forces and US advisers came under fire from Taliban fighters in a compound in Garmsir district and called in an air strike. But the ground forces were not aware of any civilians in or near the compound.Helmand provincial governor Mohammad Yasin Khan said troops had called in air strikes against Taliban fighters in Garmsir, causing both civilian and Taliban casualties. A resident of the area called Mohammadullah said the clash began late on Tuesday. “Foreign forces bombed the area and the bombs hit my brother’s house,” he said. He said women and 16 children were among the dead. Another resident, Feda Mohammad, said some victims were still buried in the rubble of the compound. “The area is under the control of Taliban but all of the victims of last night’s bombing are civilians,” he said. The NATO-led resolute support forces said Afghan forces and US advisers came under fire from Taliban equipped with machines guns and rocket-propelled grenades. “At the time of the strike, the ground force was unaware of any civilians in or around the compound; they only knew that the Taliban was using the building as a fighting position,” a force spokeswoman said in a statement. “We investigate every credible allegation of error and review every mission to learn, adapt and improve,” she said. The deaths are the latest in a growing civilian casualty toll caused by air strikes and underline the severity of the Afghan war even as moves to begin peace talks have picked up with contacts between US peace envoy Zalmay Khalilzad and Taliban representatives. The United Nations said last month the number of civilian casualties from air strikes in the first nine months of the year was already higher than in any entire year since at least 2009. The increase has come together with a sharp jump in the number of air operations under a US strategy aimed at stepping up pressure on the Taliban to force them to accept a negotiated end to the 17-year war. There’s a first time for everything. On Nov. 9, a Taliban delegation attended a one-day diplomatic conference in Russia to explore potential solutions for a peaceful settlement. It was the first time the Taliban had ever taken part in such a high-level international event that brought together India, Pakistan, Iran, China, and five countries from Central Asia. The US was invited as an observer but did not attend. Russia hopes “to open a new page in the history of Afghanistan through joint efforts,”according to Russian Foreign Minister Sergey Lavrov. He believes that the participation of both Afghan leaders and the Taliban was an important contribution that helped to create a favorable environment for kick-starting direct talks. Kabul was not officially represented at the Moscow conference. Instead, it sent a delegation from Afghanistan’s High Peace Council (AHPC), a semi-official body that oversees peace efforts but does not represent the government. It did not prevent the members of AHPC from communicating President Ashraf Ghani’s offer to launch peace talks without preconditions. In February 2018, Afghan President Mohammad Ashraf Ghani devised a peace offer for the Taliban that included readiness to both recognize the movement as a political party as well as to engage in unconditional talks with that group. This one-day event was not intended to be a diplomatic breakthrough, but Moscow demonstrated its ability to act as an effective mediator between the Taliban and Afghan President Ashraf Ghani’s government — a mission the US has so far failed to accomplish. As a member of the Shanghai Cooperation Organization (SCO), Russia has become a major contributor to the Shanghai Organization’s rising prominence, promoting the credibility of the peace efforts undertaken by the SCO-Afghanistan Contact Group. Afghanistan has an observer status in the SCO — a group that can turn the peace process into a multilateral effort. This will weaken US clout in the region but will stop the fighting. The Moscow conference also demonstrated that Russia has become a potentially vital bridge between the Taliban, the Afghan government, and the US at a time when Washington is seeking to end this war that is sapping its resources and proving a distraction from its other efforts, such as setting up a major anti-Iranian military alliance in the Middle East (Arab NATO). Former Afghan President Hamid Karzai believes Russia can play a decisive role in ending America’s longest war. As the participants of the “Moscow format” talks agreed, the Russian-brokered consultations will continue. After all, Russia, the Taliban, and the Afghan government all face a common enemy — the Islamic State. It has been a breathless week, huddled in the shadow of the simmering, bubbling, politico-religious volcano that is Imran Khan’s Pakistan. And this week’s multi-faceted developments may just signal seismic shifts in Pakistan’s internal and external relations for the foreseeable future. Before moving on to bloodier matters, let’s start with the “Mr. Khan Goes to China” episode – essential for reviewing all aspects of what is enthusiastically described by both sides as the “all-weather strategic cooperative partnership”. Xi’s financial lifeline for Khan? Prime Minister Khan, leading a fresh government elected in July and facing a range colossal challenges, set the tone from the start. He did not mince words. The lynchpin of the strategic partnership is inevitably the China-Pakistan Economic Corridor (CPEC), the flagship project of the New Silk Road, or Belt-and-Road Initiative (BRI). Before his stint as guest of honor of the First China International Import Expo in Shanghai, Khan met a crucial player in Beijing for CPEC financing: Jin Liquan, president of the Asian Infrastructure Investment Bank (AIIB). Right from the start, Pakistan’s new Planning Minister Makhdoom Bukhtiar was confident that Islamabad would not need to reschedule around $2.7 billion in Chinese loans due for repayment in 2018. Instead, what’s in the cards is an improved economic package centered on taking CPEC to the next level. A financially stable Pakistan is absolutely crucial for the success of BRI. A Pakistani audit of projects approved by the previous Nawaz Sharif administration called for streamlining CPEC, not curtailing it. Now, Team Khan does not subscribe to the notion of CPEC as a debt trap. With Saudi Arabia and China stepping in with cash, Islamabad may avoid becoming further indebted to the IMF and its trademark “strategic adjustments”- widely dreaded across the Global South for producing a toxic mix of austerity and inflation. Pakistan is all about its prime geopolitical location, the crossroads of South Asia, Central Asia and West Asia. For Beijing, Pakistan as a key BRI node mirrors its new role as a full member of the Shanghai Cooperation Organization (SCO). As Khan has clearly identified, this interconnection can only turbo-charge Pakistan’s geo-economic position – under the institutional framework of SCO. The Xi-Khan partnership may actually center around an economic win-win for Pakistan and the SCO. Of course, myriad challenges lie ahead. Kang was referring to the hoopla surrounding the fact that a Pakistani company launched a bus service from Lahore to Kashgar via Islamabad; essentially the northern CPEC route via the Karakoram Highway, which skirts Kashmir. China does not want any interference whatsoever in the ultra-volatile Kashmir dossier. Saudi Arabia is also making some not-too-subtle moves. Islamabad’s official position is that Riyadh’s recent financial offer came with no strings attached. That’s unlikely to be the case; Saudi traditionally casts a long shadow over all matters Pakistani. “No strings” means Islamabad should keep closer to Riyadh, not Tehran. The House of Saud – paralyzed by the fallout of the bloody Istanbul fiasco – will go no-holds-barred to prevent Islamabad from getting closer to Tehran. (Or Ankara, for that matter). A possibly emergent, long-term, game-changing Turkey-Iran-Pakistan alliance was the talk of the town – at least during the first part of this week of weeks. That brings us to the crucial visitor Khan received in Islamabad before his trip to China: Iranian Foreign Minister Javad Zarif. Last month, 14 Iranian border guards were kidnapped by the Pakistan-based Jaish al-Adl Salafi-jihadi fanatics. Pakistan security forces have been helpless so far. Khan and Zarif talked about that – but also talked about Khan’s offer to mediate between Iran and Saudi Arabia in trying to find a solution for the tragedy in Yemen. The fact is, a Tehran-Islamabad rapprochement is already a work in progress. That is the sophisticated geo-political game Khan must play. Meanwhile at home, he has to get down and dirty as he gets to grips with violent domestic religious turmoil. I’ve been in Islamabad since Monday – right on the lip of the volcano, and enjoying the privilege of being part of one of the most extraordinary geopolitical conferences in recent times, something that in the current polarizing dynamic could only happen in Asia, not the West. But that’s another story. 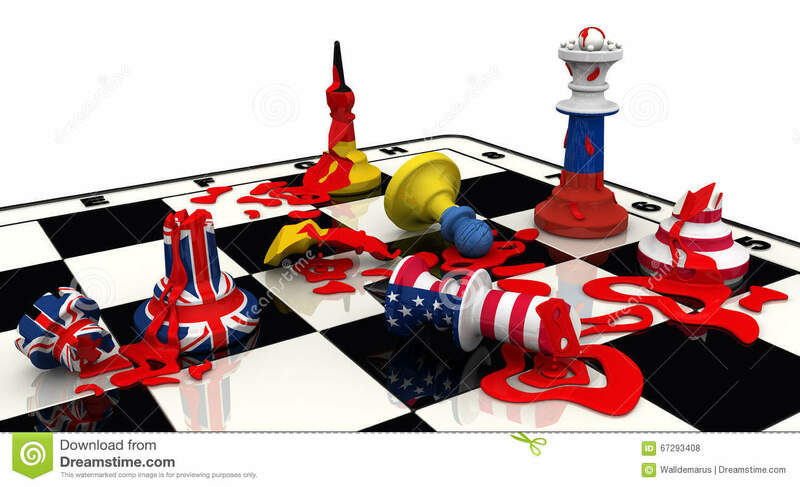 While I was parsing elaborate analyses of this geopolitical chessboard, reality intervened. Or – perhaps – it was a graphic intimation that Pakistan may just be changing for the better. Street blockades paralyzed key nodes of the nation because Aasia Bibi, a Christian woman laborer, in jail for nine years, was finally acquitted by the Supreme Court of spurious charges of blasphemy. There are less than 4 million Christians in Pakistan out of a total population of 197 million. I was with a small group on the motorway to Peshawar, prior to taking a detour to Taxila – Alexander-the-Great land, where I planned further research on ancient Silk Roads – when suddenly we were halted. A mullah was blaring his hate through a loudspeaker. A couple of his minions blocked all circulation. Why the police would not dislodge this small group is the matter of all matters in Khan’s arguably new Pakistan. 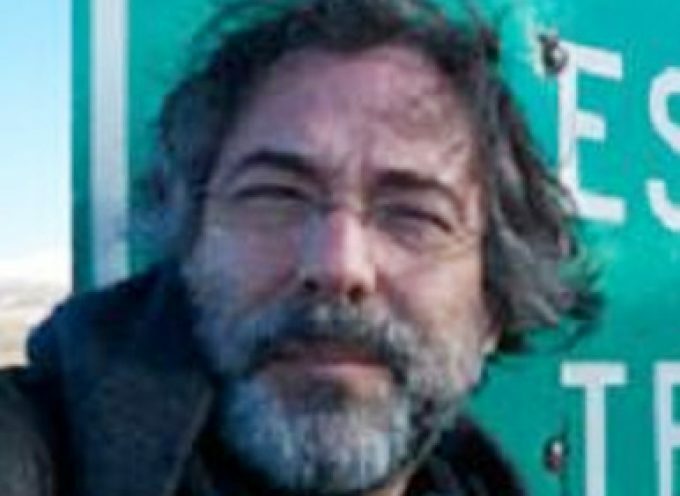 The highway standoff embodies the high-stakes grapple underway between the state and religion. Back in Islamabad, as he led me around the campus of the National Defense University, Timoor Shah, a bright young man at the Center for Policy Studies, gave me a crash course on the nuances. What a global audience should understand is this. On one side stand the state, the military and the judiciary. (Accusations continue to be hurled that Khan was privileged in the July elections by the military – the top institution in Pakistan – and an activist judiciary.) On the other side, stand fringe religious nuts and an opportunistic, discredited opposition. The Tehreek-e-Labbaik (TLP), a minor extremist political party whose only platform is to punish blasphemy, has issued death threats against the three Supreme Court judges. Pakistan could do worse than import a strangle/bone-saw/dissolve-in-acid Saudi execution squad to deal with such groups. Ghafoor told politico-religious parties protesting against the Supreme Court judgment – quite a few of which were firmly on the lunatic fringe – to go legal or else. Amid this, TLP chief Khadim Hussain Rizvi swears that that the Army has threatened to “destroy” his party. The military sent a delegation, including ISI officials, to talk to the religious protesters. Ghafoor was careful to stress that the ISI is an intelligence department that reports to the prime minister. As if all this were not toxic enough, on Friday evening Maulana Samiul Haq – the fabled “Godfather of the Taliban” – was stabbed to death in his house in Rawalpindi, Islamabad’s twin city. Haq led the sprawling Darul Uloom Haqqania, a madrassa, or religious school, in Akhora Khattak, near Peshawar, founded in 1988. The madrassa graduated none other than Mullah Omar, as well as other Taliban notables. Haq embodies a torrent of turbulence in modern Pakistani history – including his stints as senator during the Zia ul Haq and Nawaz Sharif administrations. He also tabled a notorious Sharia bill during Sharif’s last term. But for me, the story was personal. In a tortuous way, Samiul Haq saved my life – courtesy of a letter of introduction he had signed after I visited his madrassa to follow a Talibanesque indoctrination in progress. When, along with my photographer Jason Florio, we were arrested by the Taliban at a military base in Ghazni in the summer of 2000, we were only released from waiting six months to be tried as “spies” because of Samiul Haq’s letter. This obviously pales when compared to the high-profile, principled move by the Pakistani Supreme Court to save Aasia Bibi from a death sentence. But it could be the first salvo in a Khan-era Pakistani war against religious fundamentalism. Not long ago, the province of Khyber Pakhtunkhwa in north-west Pakistan was a no-go area where a combination of foreign terrorists and local extremists ruled the roost. Frequent attacks against civilians continued to scar the landscape while poorly coordinated US drone attacks on civilians only served to add to the blood bath. All the while, US “assistance” to Pakistan often served to perversely feed the dangerous cycles of extremism that all patriotic Pakistanis sought to eradicate. Today, the region’s fortunes have largely been turned around thanks to an unrelenting anti-terror campaign by Pakistan’s army as well as key intelligence operations by the country’s Inter-Services Intelligence (ISI). On the political front, it cannot be ignored that the 2013 regional election victory of Imran Khan’s PTI helped to bring about the new wave of social normalcy in Khyber Pakhtunkhwa that continues to this day now that PTI heads a government at a national level. While Pakistan’s war on terror is not over and won’t be so long as a single violent extremist seeks to harm the peaceful operations of society, Pakistan’s war on terror has largely been won both in terms of neutralising multiple extremists (both foreign and local) and in terms of restoring law, order and normal civil society to parts of the country that were once de-facto “governed” by terror groups. While the US launched a war in neighbouring Afghanistan in 2001, ostensibly to avenge the 9/11 terror attacks, America’s “war on terror” in Afghanistan became a war of terror for innocent Pakistani civilians who had their lives destroyed by the inflow of terrorists and other radicals from Afghanistan. 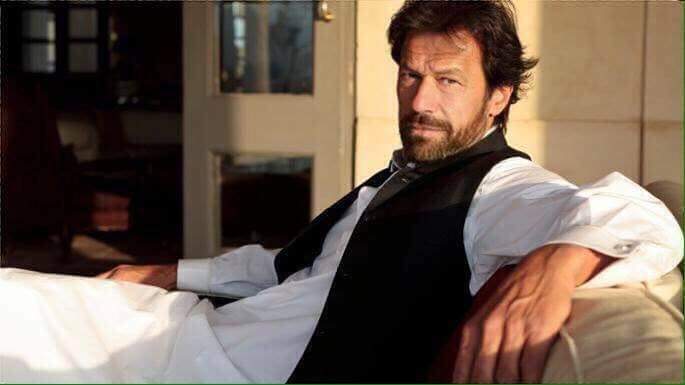 Today’s Naya Pakistan under the leadership of Imran Khan who for years has articulated the need to combat extremism both through traditional security means and through positive political reform is emblematic of a nation that is looking forward after waves of terror sought to push Pakistan to the brink. While the United States continues to deride Pakistan’s record on combating terrorism rather than laud the country for largely destroying the notorious terror group Tehrik-i-Taliban Pakistan, China is all too aware of Pakistan’s fight against terrorism and if anything seeks to learn from Pakistan’s harrowing experience. China’s north-west Xinjiang province has itself been subject to a wave of extremism, albeit one that has thankfully been far smaller than that which Pakistan has faced in recent years. China’s solution to the problem, much like Pakistan’s, has been to implement modern security measures against extremists while simultaneously investing in the province’s infrastructure, economic development and educational institutions for both children and adults seeking to learn modern vocations. “In the past, China’s eastern provinces enjoyed greater opulence and a higher rate of development, perhaps because they are closer to the coastal region and ports. However, this disparity caused Xinjiang’s population to face a sense of deprivation, which was manipulated by China’s detractors, who tried to incite the Muslim population, ethnic Uighurs, into insurgency. President Xi Jinping quelled the insurgency with a two pronged policy. Security forces cracked down on the troublemakers with an iron hand, while development projects with the inclusion of Uighurs ushered an era of prosperity. The Belt and Road Initiative (BRI) or the New Silk Road, which promises a new age of affluence, has Xinjiang as its focal point. The flagship BRI project, the China Pakistan Economic Corridor (CPEC) terminates at Xinjiang’s ancient city of Kashgar, which was a major city of the ancient Silk Road and has become BRI’s launching pad into Central Asia and beyond. The steps taken by both the central government and the Xinjiang Uyghur Autonomous Region to dispel a sense of deprivation, promote conventions of religious beliefs and conduct an era of harmony is remarkable. I have been visiting Xinjiang for the past four decades and am a witness to its various stages of development. From a sleepy backwater of the 1970s, Urumqi has become a sprawling metropolis, with high-rise buildings, busy roads, marketplaces and shopping malls. A network for underground Metro trains and high-speed railways is reaching the final stages of completion. Currently I am touring Xinjiang as a guest of the BRI to delve deep into its core and feel the pulse of this massive project. A detailed tour of the Xinjiang Islamic Institute and discussions with AdudulrekepTumniaz, President of the Institute and deputy director of Xinjiang Islamic Association was very reassuring. The Institute is 28 years old and has came a long way. My previous visit was in 2011 and since then, a new campus with modern class rooms, an impressive mosque, well equipped library, cosy dormitories and state of the art sports facilities has been completed in 2017, which can compete with any modern western university. The Chinese constitution ensures freedom of religion and Islam is no exception, however, western critics and detractors of China have been spreading rumours about the practice of Islam being curtailed. Since extremists have been distorting the tenets of Islam, quoting verses out of context and leading the faithful astray with their particular brand of religion to fulfil their heinous designs, the Islamic Institute has picked up the cudgel to produce scholars and religious teachers who can become Imams in various mosques and University Professors and teachers as well as research scholars to guide the faithful and protect them from extremism. The Bachelor’s Degree being conferred upon the Islamic Scholars from the Institute — which numbers around 1200 per year — is spread over five years. Imbibed with the knowledge of Islam, equipped with the wherewithal to take up the responsibility of guiding others, these graduates have an open mind and are well versed in technology science, social studies and current international affairs to meet the challenge head on. The scourge of extremism, which had hit Xinjiang in 2009 and later in 2014 is now diminishing because of the measures taken by the Central Government of China and the Xinjiang Uyghur Autonomous Region are bearing fruit. Security is tight; vigilance is efficient and more effective because the physical, financial and moral well-being of the citizens is being guarded. More opportunities for education, vocational training, employment opportunities and religious freedom are producing healthy students. Young boys and girls especially from the less developed and impoverished regions are being afforded the opportunity to study in state of the art boarding schools, where they are being provided quality education, mastery over arts, sciences, languages and extracurricular activities at state expense to complete high school and gain admission in inland institutions of higher learning. Facilities for practicing religion are also being enhanced. Modern and well equipped mosques, slaughter houses where halal meat can be procured or the Eid-ul-Azha rituals practiced and support in pilgrimage are paying rich dividends. The government is ensuring that pilgrims for Hajj and Umrah are provided logistic support, while spiritual education and respect for the rights of the faithful is maintained. Medical facilities, which were redundant in Xinjiang once upon a time, have now been established to a level which is unprecedented. Traditional as well as conventional medicine is offered to the urban as well as rural dwellers with the additional advantage of telemedicine, on concessional or gratis basis. With such a heavy investment, financially, spiritually and morally, there is no way the detractors of China can lead the faithful astray any longer”. With the US and many European states, so-called “NGOs” and dishonest so-called “journalists” attempt to defame Pakistan for “harbouring religious extremism” while simultaneously running an infowar suggesting that China is repressive towards peaceful Muslims, both of these dystopian narratives are far from true as most ordinary Pakistanis and ordinary Chinese can attest to. The key therefore is for an increased amount of cross-border communication so that China and Pakistan can fight the infowar together, just as sure as China’s largely victorious war against extremism in Xinjiang was partly inspired by Pakistan’s own difficult but ultimately rewarding success story when it comes to suppressing extremism within Pakistan’s border. The nature of the manifold infowar against China and Pakistan is clearly designed to sow mutual suspicion among all-weather fraternal partners. While the erroneous and defamatory “debt trap” narrative regarding Belt and Road is easily dispelled through the observation of well known case studies, western attempts to defame China as an anti-Islamic society must be dispelled through an increased amount of physical contact between Muslims from places like Pakistan and those living in modern Xinjiang. Like Khyber Pakhtunkhwa, Xinjiang is today a much better place than it was even eight years ago. In both cases, economic, social and infrastructural development has replaced extremist tendencies. Likewise, in both cases the central governments of China and Pakistan continue to respect the unique local characteristics of the respective regions. To conclude, it is necessary to publish a recent interview that the Chairman of the Government of Xinjiang Uygur Autonomous Region, Shohrat Zakir recently gave with domestic media. When comparing the words of the Pakistani Hali with Chinese Xinjiang politician Shohrat Zakir, it becomes clear that both men are speaking of similar experiences in the same place. By contrast, the Xinjiang described by many western actors is a fictional place that has nothing to do with China, nothing to do with Islam and nothing to do with China’s multiple fraternal partners in the Islamic world, first and foremost Pakistan. Question: Would you please brief us on the current situation in Xinjiang, given that under the influence of international terrorism and religious extremism, the number of violent terrorist attacks had been on the rise in parts of the region over a period of time? Facing complex and grave circumstances as well as the pressing anti-terrorism desire of the people, the Chinese government has resolutely taken measures in preventing and combating violent terrorist crimes in accordance with the law. In the past few years, under the firm leadership of the Communist Party of China (CPC) Central Committee with Comrade Xi Jinping at the core, Xinjiang has thoroughly carried out the policies of the CPC Central Committee on governing Xinjiang, unswervingly worked for the general goal of ensuring social stability and long-term security and made major achievements in fighting against terrorism and safeguarding stability. Now Xinjiang is generally stable, with the situation under control and improving. In the past 21 months, no violent terrorist attacks have occurred and the number of criminal cases, including those endangering public security, has dropped significantly. Public security has notably improved with religious extremism effectively contained, while people are now feeling more secure. We have laid a good foundation for completely solving the deeply-rooted problems that affect the region’s long-term stability. Xinjiang has started to enjoy the dividend of effective counter-terrorism efforts with its economy steadily growing, people’s livelihood improving, and overall progress being made in all respects. In 2017, the region had a 7.6 percent growth in GDP while the per capita disposable income of urban and rural residents increased by 8.1 percent and 8.5 percent, respectively. Tourism boomed in 2017 when the region registered more than 100 million trips by domestic and international tourists, a year-on-year growth of 32.4 percent. In the first nine months of this year, Xinjiang has already recorded 132 million trips by tourists from home and abroad, a 40 percent year-on-year increase. Many people who have visited Xinjiang used social media to extol the region’s progress: Today’s Xinjiang is not only beautiful but also safe and stable. No matter where they are or at what time of the day, people are no longer afraid of going out, shopping, dining and traveling. Question: It has been reported that Xinjiang has launched a vocational education and training program in a bid to facilitate its efforts to counter terrorism and extremism. What’s the thinking behind this move? Answer: Terrorism and extremism go against human civilization and are the common enemy of the international community. Countering terrorism and eradicating extremism is a global issue as well as a global headache. Over the years, many countries have pursued approaches to countering terrorism and extremism according to their own conditions and have made headway in this regard. The international community has also realized that terrorism and extremism are very hard to root out and can easily resurge. Drawing on the anti-terrorism experience of the international community, China has actively responded to the UN General Assembly’s resolution on Global Counter-Terrorism Strategy, and has been committed to addressing conditions conducive to the spread of terrorism, while preventing and combating terrorism. Based on its realities, China has combined fighting and preventing terrorism with an emphasis on prevention. China has been actively exploring and applying preventive measures in countering terrorism and extremism. Based on its own realities, Xinjiang has given equal importance to fighting and preventing terrorism, and sought to combine the fight against violent terrorist crimes with the protection of human rights. On one hand, Xinjiang has put emphasis on strictly countering a small number of violent terrorist crimes according to law, and spared no efforts in protecting the basic human rights of the citizens from the harm of terrorism and extremism. On the other hand, Xinjiang has also stressed addressing the root cause of terrorism, and moved to bring around, educate and save the majority of those who committed petty crimes, through assistance and education, to prevent them from becoming victims of terrorism and extremism. Today, despite the significant progress Xinjiang has made, countering terrorism and extremism is still a long-standing, complicated and serious issue and calls for high alert. In particular, the four prefectures in southern Xinjiang were threatened by terrorism and seriously influenced by the spread of religious extremism in the past. Some residents there have a limited command of the country’s common language and a limited sense and knowledge of the law. They often have difficulties in finding employment due to limited vocational skills. This has led to a low material-basis for residents to live and work there, making them vulnerable to the instigation and coercion of terrorism and extremism. There is still a long way to go for southern Xinjiang to eradicate the environment and soil of terrorism and religious extremism. Based on the above-mentioned situation, Xinjiang has launched a vocational education and training program according to the law. Its purpose is to get rid of the environment and soil that breeds terrorism and religious extremism and stop violent terrorist activities from happening. Question: Could you tell us more about the legal basis and relevant procedure of the vocational education and training program? Answer: In recent years, the Chinese government has accelerated the legislation of its anti-terrorism efforts to strictly prevent and combat violent terrorist crimes according to law. The National People’s Congress passed the Anti-Terrorism Law in 2015 and the Ninth Amendment to the Criminal Law, while the Supreme People’s Procuratorate, together with the Supreme People’s Court, the Ministry of Public Security, and the Ministry of Justice, in 2018 issued guidelines on the application of law in cases involving terrorism and extremism, which have improved and clarified the definitions of terrorist crimes, criteria for conviction, case handling procedures, and working mechanisms. Together with the Criminal Procedure Law, these laws and regulations have formed a relatively sound Chinese anti-terrorism legal framework. While strictly following the Constitution, the law on regional ethnic autonomy and the legislation law, Xinjiang has taken its local conditions into consideration and formulated the region’s enforcement measures of the anti-terrorism law, de-extremization regulations, among others. These laws and regulations are subject to revisions to keep them up to date. In practice, when dealing with those who have been instigated, coerced, or lured into terrorist or extremist activities, or people who only committed minor offenses when involved in terrorist and extremist activities, Xinjiang combines punishment with leniency and gives prominence to their rehabilitation and redemption in accordance with the Criminal Law, the Criminal Procedure Law, the Anti-Terrorism Law and other relevant laws and regulations. As for most people who are influenced by terrorism and extremism, those suspected of minor criminal offenses but do not have to be subject to penalties or can be exempted from criminal punishment, Xinjiang has provided them with free vocational training through vocational education institutions to improve their ability in commanding the country’s common language, acquiring legal knowledge and vocational skills, among others. In that way, Xinjiang can better guard against the infiltration of terrorism and extremism. The detailed procedures include, on the premise that training goals, methods, program completion standards and testing methods are clearly identified, that vocational training institutions sign an agreement with the trainees. The institutions will then conduct the free programs through various forms such as collective courses, boarding schools and hands-on training. The trainees will be issued certificates of completion after they meet the required standards. Question: Could you please elaborate on the main content of the vocational training? Answer: Currently, Xinjiang has established a training model with professional vocational training institutions as the platform, learning the country’s common language, legal knowledge, vocational skills, along with de-extremization education, as the main content, with achieving employment as the key direction. The vocational training institutions have set up departments of teaching, management, medical care, logistics and security, and allocated a corresponding number of faculty, class advisors, medical, catering, logistics and security staff. In daily life, vocational institutions and schools strictly implement the spirit of laws and regulations, including the Constitution and religious affairs regulations, and respect and protect the customs and habits of various ethnic groups and their beliefs in diet and daily life. Faculties of the institutions and schools also try their best to ensure and meet the trainees’ needs in study, life, and entertainment on the basis of free education. The cafeteria prepares nutritious free diets, and the dormitories are fully equipped with radio, TV, air conditioning, bathroom and shower. Indoor and outdoor sports venues for basketball, volleyball and table tennis have been built, along with reading rooms, computer labs, film screening rooms, as well as performance venues such as small auditoriums and open-air stages. Various activities such as contests on speech, writing, dancing, singing and sports are organized. Many trainees have said that they were previously affected by extremist thought and had never participated in such kinds of art and sports activities, and now they have realized that life can be so colorful. Moreover, the vocational institutions and schools pay high attention to the trainees’ mental health and helped them solve problems in life. They not only provide professional psychological counseling services, but also duly deal with complaints from the trainees and their families. All this shows that the management of the vocational institutions and schools are people-oriented. Question: Could you please elaborate on the progress of the vocational training? Answer: Through vocational training, most trainees have been able to reflect on their mistakes and see clearly the essence and harm of terrorism and religious extremism. They have notably enhanced national consciousness, civil awareness, awareness of the rule of law and the sense of community of the Chinese nation. They have also been able to better tell right from wrong and resist the infiltration of extremist thought. They have become more proactive in shaking off poverty, and becoming better off. It has been a common practice among them to expect and pursue a modern life. They are confident about the future. “I didn’t understand the country’s common language, nor did I know about the laws. I wouldn’t even have known that I had made mistakes. But the government didn’t give me up. It has actively saved and assisted me, giving me free food, accommodation and education. Now I have made great progress in many aspects. I will cherish this opportunity and become a person useful to the country and society,” a trainee said. On the whole, the following achievements have been made. Firstly, the trainees have gained progress in mastering the country’s common language. In the past, many of them had difficulties in listening, speaking and reading. They now are able to basically understand and use it in communication, which has broadened their sources to acquire modern knowledge and information. Many trainees said they were affected by religious extremism and failed to understand the significance of bilingual education. They said they had thought of merely sticking to their own ethnic language as the way to preserve their ethnic culture, so they refused to learn the country’s common language. Now they have realized they should not only learn the common language well, but also foreign languages to follow modernization trends. Secondly, the trainees have been increasing their awareness of the rule of law. Affected or coerced by religious extremist thought, many of the trainees acted under “religion discipline” or “family discipline” that was distorted or concocted by extremists. Many trainees have now realized that they are firstly citizens of the nation, and their behavior is both protected and regulated by law. They have truly understood what is legitimate and what is not. They now also know how to turn to the law for help. “As a divorced woman, I am raising a son and a daughter with the help of my parents, living in poverty. I did not know that my ex-husband had the obligation to raise the children, too,” said a female trainee, who is now able to use the law to claim overdue alimony from her ex-husband. Thirdly, the trainees’ vocational skills have been enhanced. Many trainees had no vocational skills before. Even though they wanted to get a job, it was hard for them to find one. By learning vocational skills and knowledge, and participating in practical training, the trainees have now mastered preliminary practical skills. It has gradually become realistic for them to increase their incomes, get rid of poverty and acquire wealth. “Through practicing vocational skills, I can earn 1,500 yuan per month now. My income has increased a lot and I have become the main support for my family. I can stand tall and start receiving praise from my elders. My wife has become more considerate. My kids are proud of me. I have regained respect and confidence,” a trainee said. As a result of the vocational education and training, the social environment of Xinjiang has seen notable changes, with a healthy atmosphere on the rise and improper practices declining. There has been a growing trend to pursue modern scientific and technological knowledge and etiquette; the dissemination of religious extremism is resisted consciously; communication, exchanges and integration among various ethnic groups are closer; public support for countering terrorism, maintaining stability and de-extremization is stronger; and people of all ethnic groups are full of hope for better lives. Question: After your introduction, we have got a clear and comprehensive understanding of the work of vocational education and training. Would you please give us some information on the future plan of vocational education and training? Answer: Facts have proven that vocational education and training fits the reality of current efforts in countering terrorism, maintaining stability and eradicating extremism in Xinjiang. It is an effective measure of Xinjiang to explore ways to remove the environment and soil of terrorism and extremism, and prevent violent terrorist crimes. Since its launch, the work has won high recognition and sincere support from people of all ethnic groups across Xinjiang. It has played an important role in achieving social stability and enduring peace and security in Xinjiang, and served as a positive exploration and constructive attempt for the international community in countering terrorism and eradicating extremism. According to feedback from the vocational education and training institutions, some trainees have come close to or reached the completion standard agreed in the training agreements. They are receiving course-completion tests in an orderly manner. They are expected to complete their courses successfully by the end of this year. We are busy with their employment arrangements. Meanwhile, Xinjiang will carry out programs to invite investments that suit the vocational skills of trainees. By bringing more businesses to Xinjiang, we will create jobs and alleviate poverty. We will try to achieve a seamless connection between school teaching and social employment, so that after finishing their courses, the trainees will be able to find jobs and earn a well-off life. Next, Xinjiang will further implement the strategies and policies on the region, set by the CPC Central Committee with Comrade Xi Jinping at the core, adhere to the people-centered philosophy of development, properly handle the relations between stability and development, and concentrate on the three major tasks: construction of the core zone of the Silk Road Economic Belt, the implementation of the rural vitalization strategy and the development of the tourism industry. It will also take the four prefectures in southern Xinjiang as the main battlefield to fight against poverty with targeted measures to ensure that by 2020, all rural residents living below the poverty line are lifted out of poverty. Xinjiang will also work to see that people of all ethnic groups have a stronger sense of fulfillment, happiness and security, and that the gains of development benefit people of all ethnic groups in a fair way. That was never truer than in Afghanistan. Contrary to widespread news reports, the United States did not begin its involvement in Afghanistan with the invasion and occupation of the country in October 2001. Its modern focus on Afghanistan can be traced back at least to the 1970s. In the late 1970s Afghanistan was ruled by a relatively secular regime. The last King, Mohammad Zahir Shah had been deposed in a 1973 coup and a republic established. Shah was replaced by Mohammad Daoud Khan who ruled from July 1973 to April 1978 when he was assassinated. His replacement, Nur Mohammed Taraki lasted until September 1979 when he was also assassinated, a fate that also befell his successor Hafizullah Amin. The turmoil was not entirely domestic related. Throughout the 1970s, Afghanistan’s only real foreign friend was the Soviet Union. This was a temptation too great for the Americans to resist. United States President Jimmy Carter’s National Security Adviser Zbigniew Brzezinski persuaded Carter to support an insurrection against the Taraki Government. To this end, foreign insurgents were to be trained in Pakistan, armed by the Americans, and largely financed by Saudi Arabia. These insurgents were then infiltrated not only into Afghanistan, but also the Muslim dominant Central Asian republics of the Soviet Union, and Xinjiang province of China, also with a large Muslim population. The objective, as Brzezinski disclosed in his book The Grand Chessboard, (1997) was “to give the Soviet Union it’s own Vietnam.” The program to train and infiltrate terrorists into Afghanistan, Xinjiang and the Central Asian republics was code named Operation Cyclone. This was the origin of the group that came to be known as al Qaeda, which in Arabic means “the list.” The members of that list were then known as Mujihideen, foreign fighters that could be relied upon to pursue goals consistent with the objectives of United States geopolicy. One of the leaders of this fighting force was Osama bin Laden a Saudi Arabian from a wealthy Saudi family. Brzezinski’s task was at least partially successful. The Soviet leader Brezhnev eventually agreed to the multiple requests of the Afghanistan government for assistance, and dispatched troops to Afghanistan. This has been falsely depicted as a Soviet “invasion” ever since. Militarily and politically it was a disastrous for the Soviet Union. The last Soviet leader Mikhail Gorbachev ordered the withdrawal of the combat troops in May 1988 and it was successfully concluded by the following February. Political instability continued however, with a bitter civil war that eventually led to the formation of the Taliban government. That government never had full control of all of Afghanistan’s territory, with significant portions under the control of sundry warlords, particularly in the north of the country. The Taliban’s singular achievement was to slash opium production to a tiny fraction of the volume that had produced more than 90% of the world’s heroin supply. The events of 11 September 2001 gave the United States its excuse to once again focus on ‘regime change’ in Kabul. What the western media resolutely fails to tell its readers/ listeners is that the decision to invade Afghanistan was in fact taken in July 2001 when the Taliban Government refused to award the contract for a gas pipeline from the enormously resource-rich Caspian basin through Afghanistan to an American company, and instead gave to an Argentinian company Bridas. Afghanistan was, for the Americans, the only feasible route for the pipeline as alternative routes were through Iran, Russia or China, none of whom were geopolitically feasible for the United States. The ostensible public reason for the invasion and occupation was the alleged refusal of the Taliban Government to hand over Osama bin Laden, the alleged ringleader of the 9/f that evidence was produced they were willing to hand bin Laden over to an international tribunal for trial. That evidence was never forthcoming. There were two reasons for this: the evidence is non-existent; and more importantly for present purposes, the decision to invade had already been made. Regardless of what the Afghanistan government did or did not do, their fate had already been determined. Now, nearly 17 years later, the Americans and their allies such as Australia are still there. As Engelhardt said, they arrived uninvited, trashed the place, and refused to leave. The longer they stay, the hollower the original justification is revealed to be the case. The public is still fed the same nonsensical excuses, such as training the Afghan troops to be able to be responsible for their own security. Evidence of ‘ghost’ troops, rampant corruption and a manifest unwillingness as well as an inability to be an effective fighting force has done nothing to diminish the propaganda. Rather than bringing ‘peace and stability’, training Afghans to a mythical self-sufficiency, or helping rebuild Afghanistan’s shattered infrastructure, the time is long past for an honest appraisal of what western Allied forces are really trying to achieve in Afghanistan. There are a number of motives that readily reveal themselves. The first relates to Afghanistan’s geography. It is strategically located in close proximity to, or bordering upon, the United States’ designated enemies, China, Iran and Russia. A map of US military bases shows that they closely follow the pipeline route, and are readily accessible to the poppy fields that once again produce more than 90% of the world’s heroin. The refining of opium into heroin requires imported chemicals, and those are flown into Afghanistan on planes operated by the occupying NATO forces. This should not come as a surprise, despite being totally suppressed by the western media. Peter Dale Scott (American War Machine, 2010) and Alfred McCoy (Politics of Heroin New ed. 2003) have long pointed out the central role of drug trafficking in the financing of CIA clandestine operations. Those military bases have also fulfilled a further role as ‘black sites’ where alleged terrorists are illegally rendered, to be tortured, indefinitely imprisoned, or simply disappeared. A second reason relates to Afghanistan’s resource wealth. One of the least publicized facts about Afghanistan is it is enormous potential as a source of oil, gas, precious metals, precious stones, and perhaps most significantly rare earth minerals. The third factor relates to the geopolitical changes occurring in the region. As corrupt and incompetent as the current Afghanistan government is, it is still able to discern that the continued US occupation is a road to nowhere. Afghanistan has, since June 2012 had observer status of the Shanghai Corporation Organisation, rapidly emerging as one of the most influential groups in the Eurasian region. The SCO grouping poses a progressively stronger challenge to the US centred geopolitical world, and the US is not giving up its previous unipolar status without a fight. The Mujihideen of the 1970s and 1980s, now morphed into various guises but still under US direction, is being used to destabilize and disrupt those same nations targeted during those earlier decades. It is one of the major reasons why the SCO has security related issues as a central focus. On 4 September 2018 the Taliban will be participating in Russian sponsored peace talks in Moscow. Twelve countries and the Taliban were invited, but the United States and Afghanistan governments have announced that they will not be attending. The Afghan government says it prefers “direct talks” with the Taliban, although given the realities of the presence of foreign occupying troops, it is difficult to see how direct talks will produce a meaningful result while their status remains undetermined. It is also an open question as to how freely the Afghan government decision was made. The Americans have also declined to take part, saying that the talks were “unlikely to yield any progress” toward a settlement. Rather obviously, progress is difficult if one of the principal players refuses to participate. The more likely real reason for American non-participation is that they do not control the agenda, the venue, or the outcome. Rather than being part of the solution, they remain instead a major part of the problem. After nearly 17 years of occupation, destruction, civil war and a manifest absence of progress, it is clearly way past the time when there was a fresh approach with Afghanistan’s needs being the top priority. For the reasons set up above that has not been the case for the past several decades. Progress is unlikely to be achieved as long as the uninvited guests refuse to go home. James O’Neill is an Australian-based Barrister at Law, exclusively for the online magazine “New Eastern Outlook”. Bullying is the hallmark of the US foreign policy. The bullying tools employed to achieve foreign policy goals are threats, coercion, use of proxies, propaganda war, economic sanctions, financial strangulation, human rights abuses and fake allegations. Suspension of $300 million Close Support Fund (CSF) by the US just three days before the arrival of US Secretary of State Mike Pompeo and CJCSC Gen Joseph Dunford to Islamabad has given a clear signal to the new regime led by Imran Khan (IK) that there will be no change in the US bullying attitude. This is the second cut in CSF. $500 million were suspended early this year. $ 800 million were due to be reimbursed to Pak Army for the services rendered and expenditures incurred in the war on terror in 2016/17 and was not aid or a grant. In the last 14 years, Pakistan has received $ 14 billion from USA. Over $ 9 billion are still pending on account of CSF. Rupees 15.9 billion are due for the current fiscal year 2018/19. These cuts and other punitive actions are being taken to express unhappiness of the US and to remind Pakistan that the US would release the said amount and renew CSF if it forgoes its defiance and revert to its traditional pliant behavior and agree to abide by the US dictates and not otherwise. Brief stopover of the visitors followed by their two-day visit to India where Secretary Defence Mattis will join them and sign more agreements is another indication that the trend of keeping India as a favored ally and Pakistan as a distrusted ally will continue. After the announcement of the new US policy on Af-Pak region by Donald Trump on August 22, 2017, Pakistan has been constantly pressed by Washington to destroy the safe havens of Haqqani network (HN) and Afghan Taliban and to effectively deal with them. The tone and tenor of the US civil and military leaders became more menacing after the callous tweet of Trump on the occasion of New Year eve, dubbing Pakistan as dishonest, double dealer and betrayer having gobbled up $30 billion US aid without doing enough to control terrorism. Despite Pakistan’s denials, and explanations and reminders of the human losses of over 70,000 and the financial loss of $123 billion incurred in the US imposed war, which were snootily ignored, the US has stuck to its allegations that the HN and Afghan Taliban leaders are based in Pakistan and are the main cause of instability in Afghanistan. No proof has is far been given to substantiate their accusations. The narrative of safe havens of the militants is being drummed up by the Indo-US-Afghan nexus with a view to browbeat Pakistan into submission and to blacklist Pakistan. The US has for the first time hurled threats of physical intervention if Pakistan refuses to do as told to do and has cut off military training programs. The IMF has been cautioned by Washington not to give bailout package to Pakistan if it uses the loan for repayment of loans to China or for the CPEC. Indian Army chief has on more than one occasion threatened to launch surgical strikes and wage a limited war against Pakistan in the zone of its choice. Likewise, Afghanistan has also maintained a belligerent posture and on several occasions carried out attacks on military posts along the western border. In spite of the fact that Pakistan had earned the title of ‘most allied ally of USA’, the Pak-US relations spread over 64 years have never been at ease and has seen many ups and downs. The US used Pakistan as a client state to serve its geo-strategic interests and disregarded Pakistan’s security concerns. In its bid to win the affections of India, the US remained tilted towards India during the Cold War, well knowing that India was the Soviet camp follower and felt no compunction in tilting the regional balance in favor of India. The US never came to the help of Pakistan when its assistance was needed the most in the two wars with India. Seeing its self-serving attitude, Ayub Khan was constrained to lean towards China and to say, “We need friends not masters”. After 1990 when India fell into the lap of USA, India became the darling of USA and the West, while Pakistan which had played a key role in pushing out the Soviet forces from Afghanistan and in making USA the sole super power and in unifying Germany, fell from grace and became the most sanctioned country. After 9/11, the US once again befriended Pakistan and made it a coalition partner and Non-NATO ally to fight war on terror as a frontline state. In reality, Pakistan was never an ally but a target of Indo-US-Israel nexus, all three wanting to destroy Pakistan’s nuclear program. While India had been accusing Pakistan of supporting the freedom fighters in occupied Kashmir since 1990, and constantly urged USA to declare Pakistan a terrorist state, it stepped up this accusation after a terrorist attack on Indian Parliament on December 13, 2001, which it propagated was the doing of Pakistan and Jaish-e-Muhammad (JeM). From 2004 onwards, the US and Afghanistan started blaming Pak military and the ISI of their collusion with Al-Qaeda, Taliban, JeM and Lashkar-e-Taeba. The latter two groups were added expressly at the behest of India. For all practical purposes, the Indo-US-Afghan strategic partners are anti-Pakistan, and have been conspiring to fragment Pakistan. Greater Baluchistan, Greater Pashtunistan and Jinnahpur movements were foreign inspired to cut Pakistan to size. Covert war coupled with propaganda war and ‘Do More’ mantra were designed to weaken Pakistan from within, and create conducive conditions for India to launch its Cold Start Doctrine (CSD), which it had made fully operational in 2008. From 2001 to 2008, all the terrorist attacks that took place in India were put in the basket of Pakistan. Keep Pakistan under pressure and on the back foot. Keep whipping Pakistan for its uncommitted sins and force it to do more. Paint Pakistan as a terror abetting state and the trio as victims of terrorism. To hide cross border terrorism of CIA, RAW, NDS from Afghan soil. Pave the way for blacklisting Pakistan. As a consequent to massive covert war supplanted by hybrid war, bleed Pakistan economically and militarily, create insecurity and political instability and eventually trigger civil war. Net result. Compel Pakistan to surrender nukes in return for survival. Water war launched by India war was part of the overall plan to make the arid lands of Pakistan dry and force it to beg for mercy. Development of tactical nukes and short, medium, long range missiles by Pakistan and upgradation of minimum nuclear deterrence to optimum levels by Pakistan have effectively stalled the CSD, which envisages capturing several tactical objectives with strategic effects situated close to the border/LoC. Concept of limited war also fall within the purview of CSD. Besides upgrading nuclear capability, Pakistan military has configured its force goals in a manner which can not only tackle the twin threat posed by India in the east and Afghanistan in the northwest as well as externally supported internal threat, but also retains offensive options. CPEC has posed a bigger challenge to the Indo-US global ambitions. Suffering from nervousness and anxiety, both have stepped up the covert and hybrid wars as well as water war to internationally isolate Pakistan, destroy its economy, cow it down and make it a compliant state. While Pakistan today finds itself in a precarious situation due to massive debt burden, penurious economy, and disturbed geo-political environments, the situation of US is equally upsetting. In 2001, the Americans had fully backed George W. Bush’s Afghan adventure. Today the Americans are wary of the war and want an end to the futile 17-year war. Trump’s Afghan policy and other erratic decisions are being severely criticized and he faces impeachment, while his wife has separated. The US is badly stuck in the quagmires of Afghanistan and Syria, it is faced with Ukraine crisis, it has locked horns with Russia, China, Mexico, North Korea, Turkey, Iran, and Pakistan and there are vibrations in US-EU/NATO relations. Trump’s bullying tactics are not working and anti-Americanism is scaling new heights and so is defiance by the targeted countries. Of all its problems, Afghanistan is the worst. The US military stationed in Afghanistan together with ANSF made a last ditch effort to emasculate the power of Taliban by using excessive force and then force them to negotiate a political settlement on its terms. Except for causing high civilian casualties, it failed to even slow down the Taliban offensive what to talk of defeating them. The Taliban enjoy a distinct edge over their opponents and their recent assault of Ghazni has rattled Resolute Support Group (RSG) and the unity government whose writ has got confined to Kabul. It has started cracking as was seen by the resignation and reshuffle of top appointment holders in Kabul. The attack in Ghazni has brought to light the vulnerability of Afghan security forces (ANSF) whose casualty rate as well as the desertion rate is very high. According to the third quarterly report by SIGAR released on July 30, 2018, the ANSF lost 8,500 personnel from April 2017 to April 2018. They are no match to the Taliban in combat and lack fighting spirit and remain wholly dependent upon American close air support. In Ghazni, the American Air Force conducted 32 airstrikes killing 220 Taliban fighters. The day RSG exits, ANSF will crumble. Taliban are in no mood to call off their offensive since they want to have second round of direct talks with the US officials from a position of strength. Diplomatically, they are winning friends. Russia invited them for an international peace conference in Moscow. Besides Russia, Iran is also supporting them because of the Daesh factor. According to research conducted by the BBC, Taliban presently threaten 70 percent of Afghanistan. Another independent website ‘The Long War Journal’ says that Taliban out rightly control 47 districts, while the control of 198 districts is contested between the Afghan government and the Taliban fighters. The morale of US/NATO troops stationed in eight military bases in Afghanistan is low and they have no heart to take part in ground operations. There have been largescale suicides and post stress disorders cases. What has depressed the US leadership is that Afghanistan is slipping out of their hands where an amount of $1.3 trillion has been sunk. In 2012-13, when the troop level of USA was 100,000, the expenditure incurred was $100 billion annually. Expenditure incurred on 16000 strong RSG is $13 billion, while $5 billion is spent on ANSF and $78 crores on development. Despite spending so much and losing 2372 soldiers, the US could neither defeat the Taliban nor achieve any of its objectives. The US had to eat a humble pie by finally agreeing to the demand of the Taliban to hold direct talks with them and not through the unity government. Pakistan military with meagre resources and against all odds has successfully fought the foreign paid terrorist groups numbering over 60, smashed their network and flushed them out and restored the writ of the government in all parts of the country. The integrity and sovereignty of the state and strategic assets are in safe hands. Pakistan is the only country which has achieved laudable results against terrorism. The US wants to ditch Pakistan but cannot since the air and land routes through Pakistan are vital for the US military to stay in Afghanistan or to exit. What it wants from Pakistan is to either fight the HN and Afghan Taliban, or else bring them to the negotiating table. The first demand has been rejected by Pakistan saying it cannot fight others war. The second request merits consideration provided the US gives a guarantee that like in the past, it will not scuttle peace-talks midway and give peace a chance. Unlike Pakistan, China and Russia desiring peace, the US, India, and the Afghan puppet regime are anti-peace since continuation of war fetches them strategic gains. The security contractors, drug barons, smugglers and businessmen are interested in material profits. Peace in Afghanistan would mean the fall of unity government and exit of US and India. Open war against Pakistan is no more an option for the US and its allies due to nuclear factor, robust armed forces that are second to none, and unmatched resilience of the people. Even the option of covert operations in which the adversaries had kept Pakistan fully embroiled for the last 17 years is getting untenable. All the known terrorist groups are now based in Afghanistan and their infiltration will get impeded after the completion of fencing of the western border. Operation Raddul Fasaad is netting the handlers, facilitators and financiers of the terrorists. Decision to expedite sending 2.7 million Afghan refugees back to Afghanistan will cause a big setback to RAW and NDS since the duo had been exploiting a segment among them for fomenting terrorism in Pakistan. The other worrying development for the US is the Bajwa doctrine, which disregards the US dictates that are against national interests, and asks the US and its allies engaged in counter terrorism to do more to put their own house in order. It is this defiance which has flustered and angered Trump regime filled with hawks. Pakistan will be an ally of USA for peace and not for war since both Pakistan and Afghanistan have suffered grievously in this insane war. A message given to the American visitors that Pakistan would like to maintain friendly relations with USA based on mutual trust, respect and benefit must not be to their liking. Foreign Minister Qureshi has made it clear that while the concerns of the visitors will be listened to, the security concerns of Pakistan will also be put forward. Landmark visit of PM IK to GHQ and his meeting with Gen Bajwa on Sept 3 has removed all the irritants in civil-military relations and brought the two on one page. This kind of a rapport between the two top power centres was never seen before. It has strengthened the hands of Qureshi to deal with the visitors boldly and to inform them forthrightly that the policy pursued by the US in the aftermath of 9/11 is highly discriminatory, unjust and flawed, which needs correction to make it even based. They must be politely but firmly asked as to why Pakistan is being singled out for ridicule and whips, and why all the plaudits and rewards for India and Afghanistan, while hypocritically calling Pakistan an ally? Highly discriminatory policy of the US has compelled Pakistan to look for other venues and gravitate towards China-Russia-SCO axis. Turkey and Iran too are shifting towards the East and so is the global pivot of geo-economics. Frankly speaking, we ourselves are to be blamed for making Pakistan a whipping boy by adopting a self-defeating policy of appeasement and encouraging the US to take Pakistan for granted. Instead of strongly rebutting the false allegations, our leaders remained in a defensive, apologetic and reactive mode. In our bid to keep USA and India in good humor, we failed to build a counter narrative to defeat the fake narrative of our adversaries. Neither the civil nor the military leaders picked up courage to adopt a proactive foreign policy and pursue aggressive diplomacy and effective media war to impress upon the world community that Pakistan is the only country which has achieved spectacular results in the war on terror and has rendered much more sacrifices than any other country but is being censured and pressured by the losers and real perpetrators of terrorism. Our timidity and spinelessness has emboldened the US to make Pakistan a convenient scapegoat to hide its failures in Afghanistan. This faulty policy must be reversed and dignity of the nation restored by the builders of Naya Pakistan. Brig Asif Haroon Raja an Member Board of Advisors Opinion Maker is Staff College and Armed Forces WarCoursequalified, holds MSc war studies degree; a second generation officer, he fought epic battle of Hilli in northwest East Bengal during 1971 war, in which Maj M. Akram received Nishan-e-Haider posthumously. He served as Directing Staff Command & Staff College, Defence Attaché Egypt and Sudan and Dean of Corps of Military Attaches in Cairo. He commanded the heaviest brigade in Kashmir. He is lingual and speaks English, Pashto and Punjabi fluently. He is author of books titled ‘Battle of Hilli’, ‘1948, 1965 & 1971 Kashmir Battles and Freedom Struggle’, ‘Muhammad bin Qasim to Gen Musharraf’, Roots of 1971 Tragedy’; has written number of motivational pamphlets. Draft of his next book ‘Tangled Knot of Kashmir’ is ready. He is a defence analyst and columnist and writes articles on security, defence and political matters for numerous international/national publications. The announced decision is part of a broader suspension that was proclaimed at the beginning of the year. “The United States has foolishly given Pakistan more than 33 billion dollars in aid over the last 15 years, and they have given us nothing but lies & deceit,”President Trump tweeted on January 1, 2018. “They give safe haven to the terrorists we hunt in Afghanistan, with little help. 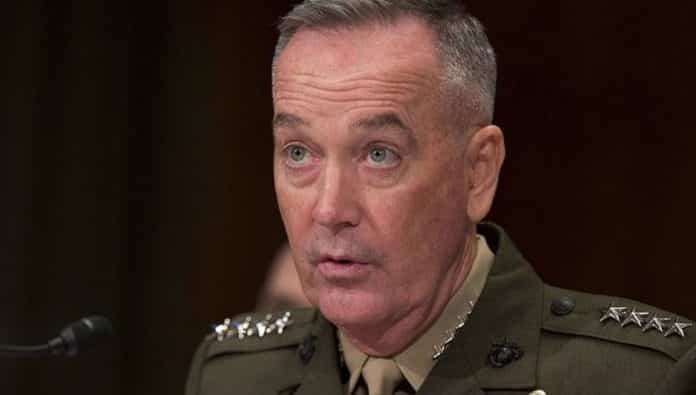 No more!” The statement was followed by announcement that Secretary Jim Mattis was authorized to grant $300 million in CSF funds over the summer if he saw a change of attitude in Islamabad. He didn’t. The US has started to suspend its training and educational programs for Pakistani officers. No funds have been provided for the coming academic year. US military institutions, including the National Defense University in Washington DC, the US Army’s War College in Carlisle, Pennsylvania, the US Naval War College, the Naval Staff College, and other courses they offered, including cybersecurity studies, eliminated the 66 slots they had reserved for cadets from Pakistan. It’s rather symbolic that Moscow and Islamabad signed an agreement on August 7 to train Pakistani military personnel in Russia. With that country’s foreign-exchange reserves plummeting, PM Imran Khan will have to decide whether his government will seek a bailout from the International Monetary Fund (IMF), where the United States controls more votes than any other member. The alternative would be to turn to China, Russia, and other friendly nations. After the victory of the Pakistan Tehreek-e-Insaf (PTI) party in the 2018 general elections, China agreed to grant a $2 billion loan to Islamabad. On July 30, US Secretary of State Mike Pompeo warned that any potential IMF bailout for Pakistan’s new government must not include funds to pay off the country’s Chinese lenders. Pakistan is pinning its hopes on the China-Pakistan Economic Corridor (CPEC) project. Russia and Pakistan marked the 70th anniversary of their diplomatic relations on May 1, 2018. That relationship has seen its ups and downs, but today it has risen to a new historic high. Moscow and Islamabad see eye-to-eye on the prospects for ending the conflict in Afghanistan. Pakistan has endorsed the Russian-brokered peace talks that exclude the United States but include the Taliban. Pakistan strongly supports Russia’s Syria policy. Islamabad’s membership in the Shanghai Cooperation Organization (SCO) opens up new prospects for cooperation. Russian President Vladimir Putin has put forward a proposal to create a more extensive Eurasian partnership based on the Eurasian Economic Union (EEU), which would involve China, India, Pakistan, Iran, and those from the Community of Independent States (CIS) that are willing to join. Islamabad is also interested in signing a free-trade agreement with the Russian-led Eurasian Economic Union (EEU). Pakistan has shown its interest in buying military hardware from Russia, has participated in Russian war games, and has also attended Army exhibitions. In September 2016, Russia and Pakistan held their first-ever joint military exercise. It’s been held yearly ever since. Pakistan’s Chief of Army Staff General Javed Bajwa paid his first visit to Russia in April of this year. In late July, the two countries signed a naval cooperation agreement during the visit of Pakistan’s Vice Chief of the Naval Staff Vice Admiral Kaleem Shaukat to Russia. The Pakistani military plans to purchase Su-35 fighter jets and T-90 tanks from Russia. Russia is involved in many economic projects, such as the Karachi Steel Mill and Gudhu Power Plants. In 2015, Russia and Pakistan signed a contract to build a 1,100-kilometer gas pipeline from Karachi to Lahore (the North-South pipeline) with a capacity of 12.4 billion cubic meters per annum — the largest economic deal ($1.7 billion) between the two countries since the USSR built the Pakistan Steel Mills in the 1970s. Delayed several times because of tariff disputes, it will be set in motion this year by a Russian company called RT – Global Resource. Pakistan has already invited the Russian Federation to join the $1.16 billion Central Asia-South Asia power project or CASA-1000, which will allow for the export of surplus hydroelectricity from Tajikistan and Kyrgyzstan to Pakistan and Afghanistan. In 2017, Pakistan’s government gave the go-ahead for the initiation of an agreement with Russia to construct a 600MW Natural Gas Combined Cycle (NGCC) power plant in Jamshoro, Sindh. US-Pakistani relations are evidently at a low ebb but every coin has two sides. This is prompting Islamabad to diversify its foreign relationships. There are other partners with a lot to offer that could make that country stronger and much less vulnerable to outside pressure.